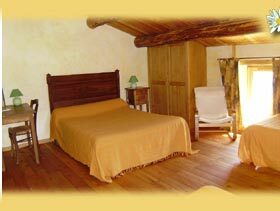 2 spacious rooms, designed for 4 persons each, with a double bed and 2 single beds. Shower with toilets in each room. 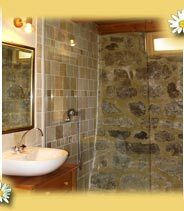 1 family suite for 4 people with 2 bedrooms, shower room and wc adjoining. For your pleasure, breakfast will be served in the dining room or on the terrace if the weather allows it. Price per person on the basis of 2 people. 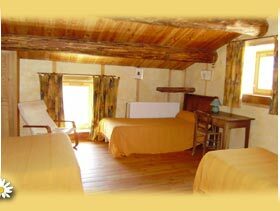 52,50 € per night and per person. 30 € per child under 12. 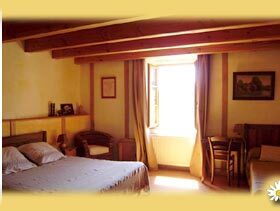 From the 3rd night: 50 € per night and per person. Applies to the Chanterelle Bedroom and the Chesnuts Bedroom only. For the family suite, consult us.